Today we are very excited to have launched our new website! Home / Safer Driving / Featured / Welcome to our new website! Produce fresh content for you easily and quickly with our new Content Management System (CMS). You will have immediately noticed the new look of our homepage. The home page is now divided into sections that give an overview of who we are and about our insurance product. All web pages have new larger fonts, high-resolution images and smaller paragraphs to make the content quicker to read. At the end of each article, we’ll recommend related content if you want to continue reading around the subject. Viewing this on your mobile? Chances are that you’re reading this on a handheld device, with over 50% of our website traffic coming from mobiles and tablets – and increasing by the day. The rising popularity of smartphones and tablets has prompted the need for websites to adapt to different screen sizes. 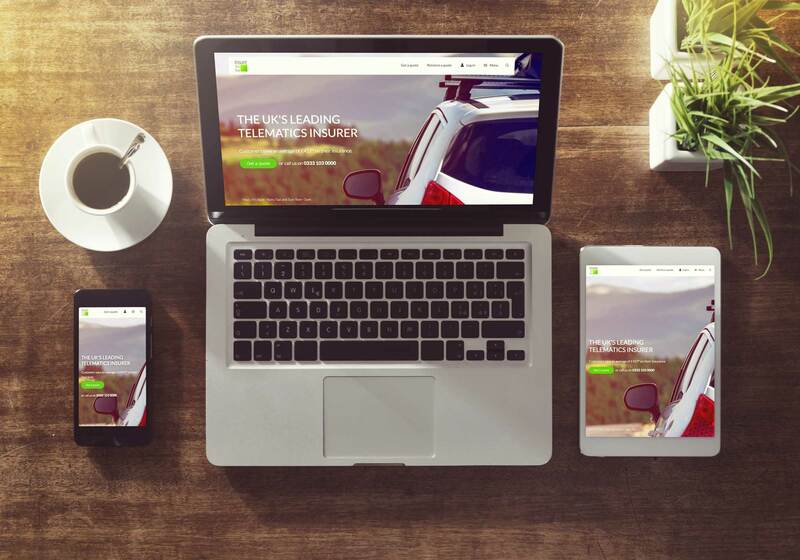 Our new website is fully responsive in order to give you a great user experience – no matter what device you’re on. We know how frustrating it is when a website takes ages to load. That’s why we carried out lots of little coding tweaks to make sure the new website loads much faster than the old one. Searching for something in particular? The new live search functionality will make finding what you’re looking for much easier than before. We’ve redesigned the menu to make sure you’re not bombarded with options and can navigate around much easier. You can now leave comments on articles and have discussions about the material with other users. We’d love to get your thoughts on the new website – leave a comment below or tweet us @insurethebox with your feedback or suggestions.